Shelov, S.P., & Hannemann, R.E. (Eds.). New York: Bantam. Produced by the American Academy of Pediatrics. An excellent resource on children's health and development. It contains over 350 illustrations and information on each stage of development ranging from a "health watch" to suitable toys and activities. Bredekamp, S., & Copple, C. (Eds.). (1997). Washington, DC: National Association for the Education of Young Children. Published by the leading association of teachers of young children. It describes the stages of development for children from birth to age 8, and it lists activities that help them learn. 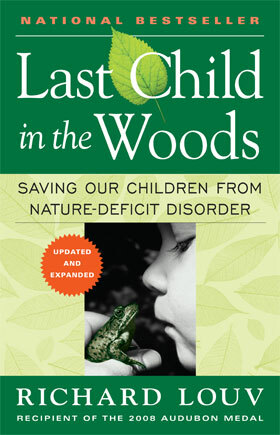 Louv, R. Addresses the growing concern for children who are not spending time in nature and the outdoors. Peel, K. (1997). New York: Ballantine Books. Offers working parents tips on organizing and simplifying their lives. It includes "pep talks" in the form of quotations from individuals ranging from Dr. Spock to Abraham Lincoln. Silberg, J. (1993). Beltsville, MD: Gryphon House. First in a series of books on games parents can play with their children. In this book the games are organized into four sections: 0-3 months, 3-6 months, 6-9 months, and 9-12 months. Each section includes a variety of games that help foster physical development, coordination, bonding, and other essential aspects of early development. Silberg, J. (1993). Beltsville, MD: Gryphon House. A Collection of games parents can play with their children. The description of each game includes the types of development the games promotes. Silberg, J. (1993). Beltsville, MD: Gryphon House. This collection contains games parents can play with their children. Each game helps develop important physical, language, intellectual, and other skills. Dodson, F. (1971). This best seller offers specific advice on how to help children develop from the crib to preschool. Dr. Dodson provides parent guides to children's books, records, and toys, and he lists free and low cost toys. Elkind, D. (1988). New York: Addison-Wesley. This book recommends that children not be treated as if they are miniature adults. It also suggests that pressuring children to learn reading and writing can cause them to dislike school work. 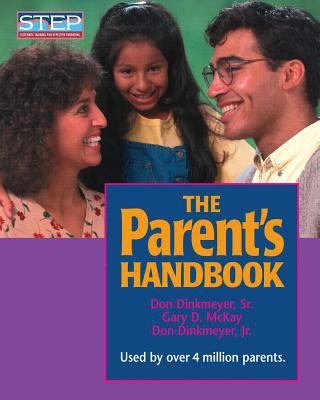 Dinkmeyer, D. Sr., McKay, G. D., Dinkmeyer, D. Jr.: Explains how parents with different parenting sytles can successfully deal with discipline and other issues. Covey, S. R. (1997). New York: Golden Books. Best-selling author Steven Covey applies his "7 habits" formula for success to the family. He advises families to try, among other things, to set goals and to use problem-solving to avoid or end conflicts. Brazelton, T. B. (1992). New York: Addison Wesley. Written by the host of the television program "What Every Baby Knows," Touchpoints describes the emotional development of young children. Dr. Brazelton also offers reassuring explanations of the difference between problem behavior and strange, yet normal behavior. Toys "R" Us. (1997). (Available for free at all Toys "R" Us Stores.) Designed especially for children with disabilities, this guide is useful to all parents. The description of each toy indicates the thinking, social, visual, and other skills it helps develop. Eisenberg, A., Murkoff, H. E., & Hathaway, S. E. (1996). New York: Workman. This reference tells parents what to expect at each month of their infant's development. It also includes helpful question-and-answer sections and a chart that describes common childhood illnesses. Eisenberg, A., Murkoff, H. E., & Hathaway, S. E. (1996). New York: Workman. Organized by months, this book tells parents what to expect at each stage of their child's development. It also includes helpful facts about childhood illnesses, lengthy question-and-answer sections and reassuring information on normal behavior. Sale, J. S., Kollenberg, K., & Melinkoff, E., (1996). New York: Simon & Schuster. Beginning with maternity leave, this handbook offers practical solutions to problems parents face in trying to balance work and family. Baldwin, R. Provides an overview of a parent’s role as a child’s first teacher. Leach, P. (1997). New York: Knopf. Written from the child's point of view, this book contains excellent information on how to meet a child's needs. Leach gives especially good advice on how to deal with fussy children.